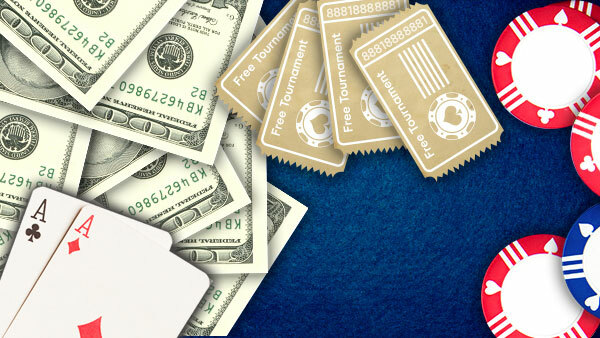 Learn How to Play 7 Card Stud Hi Lo Game at 888poker™! Seven Card Stud Hi/Lo 8 or Better (Seven Card Stud Hi/Lo), a version of Poker for between 2-8 players, is today among the most popular variations of Poker. The game has gained popularity, both in the US and abroad, due to its true Poker feel and highly challenging game play. A hand of Seven Card Stud Hi/Lo consists of up to five Betting Rounds. Initially, each player places an "Ante" (opening Bet) to "seed" the Pot. Each player is then dealt two initial, private, facedown "Hole Cards" and one, face up "Door Card". Players who remain active (do not Fold), throughout an entire hand of Seven Card Stud Hi/Lo, will receive a total of three facedown cards and four face up cards. After the fifth and final Betting Round is complete, there is a "Showdown". The players that create the highest and lowest (with no card higher in value than eight) ranking (valued), five card, Poker hands, using any combination of five of their seven total cards, split the Pot 50%-50% (if one player creates both the highest and lowest ranking Poker hands, that player receives the entire Pot). Before the first deal of the cards, each player "Sitting-in" places an initial Ante (opening Bet) (see the Limits, Antes & Rake in the how to play section of this site), in the centre of the table, to "seed" the Pot. The Dealer distributes two facedown "Hole Cards" and one face up "Door Card". The cards are dealt in a clockwise fashion, one at a time, starting with the first player to the left of the Dealer. The player with the lowest ranking (valued) Door Card showing, by suit, initiates the first Betting Round. This player is required to Bet no less than the "Bring-in" amount (half of the table's Lower Limit Stake), up to the table's Lower Limit Stake. The Betting Round then proceeds, in a clockwise fashion, around the table, with each player acting in turn. Each active player (has not Folded), is dealt one additional card, face up. The active player with the highest ranking card(s) showing initiates the second Betting Round. The Betting Round then proceeds, in a clockwise fashion, around the table, with each player acting in turn. In the event that a player is "Showing" a Pair, with their two face up cards, at the beginning of the second Betting Round, players have the option to Bet in multiples of either that table's Lower or Higher Limit Stake. If a player Bets at the table's Higher Limit Stake, all following players are required to continue Betting at the table's Higher Limit Stake. Each active player is dealt one additional card, face up. The active player with the highest ranking card(s) showing initiates the third Betting Round. The Betting Round then proceeds, in a clockwise fashion, around the table, with each player acting in turn. The Betting in this Round is set at the table's Higher Limit Stake. The active player with the highest ranking card(s) showing initiates the fourth Betting Round. The Betting Round then proceeds, in a clockwise fashion, around the table, with each player acting in turn. The Betting in this Round is set at the table's Higher Limit Stake. Each active player is dealt one additional card, face down. Occasionally, there are not enough cards in the deck to give each player their own final seventh card, the River, face down. In this case, one card will be placed, face up, in the centre of the table. This "Community Boardcard" is shared by all active players. The active player with the highest valued card(s) showing begins the fifth Betting Round. The Betting Round then proceeds, in a clockwise fashion, around the table, with each player acting in turn. The Betting in this Round is set at the table's Higher Limit Stake. Both the highest and lowest ranking Poker hands possible. The two active players who create the highest and lowest ranking Poker hands split the Pot 50%-50%, minus the "Rake" (see the Limits, Antes & Rake in the how to play section of this site). Should one active player create both the highest and lowest ranking Poker hands, that player receives the entire Pot, minus any All-in Pots and the Rake. If there is no qualifying low hand (with no card higher in value than eight), the player with the highest ranking hand receives the entire Pot, minus any All-in Pots and the Rake. Before joining a 888poker Seven Card Stud Hi/Lo, players must purchase a minimum amount of Chips to play with ("Buy-in"). At 888poker, the minimum Buy-in amount is 10 times the Lower Limit Stake of that particular table (i.e. at a $1/$2 table the player must Buy-in with a minimum of $10) (see the Limits, Antes & Rake in the how to play section of this site). Once the Antes have been placed, the Sitting-in players are each dealt two facedown "Hole Cards" and one face up "Door Card". The cards are dealt in a clockwise fashion, one at a time, starting with the first player to the left of the Dealer. The first Betting Round is initiated by the player, Sitting-in, with the lowest ranking (valued) Door Card showing, by suit. 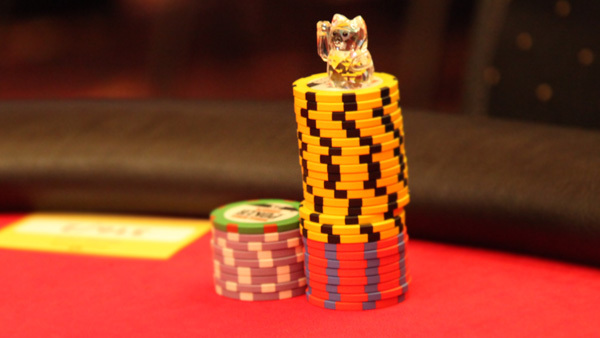 There are five possible Betting Rounds in 888poker's Seven Card Stud Hi/Lo. In each Betting Round, the amount that players Bet is determined by that specific table's Lower and Higher Limit Stakes (Betting amount). A table's Lower Limit Stake is always half of the Higher Limit Stake (i.e. a $1/$2 table, or a $5/$10 table). If a player is showing a Pair, with their initial 2 face up cards, players have the option to Bet in multiples of that table's Lower or Higher Limit Stake. Once a player Bets at that table's Higher Limit Stake, then all following players must also Bet at the Higher Limit Stake. In the final three Betting Rounds, of a Seven Card Stud Hi/Lo Poker game, players Bet in multiples of that table's Higher Limit Stake. Fold - Discard hand and no longer remain active to participate in the hand. 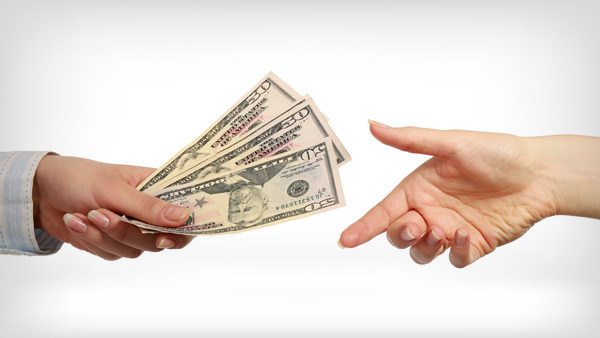 The player forfeits the amount (if any) that they have previously wagered during that hand. In keeping with conventional Poker rules, within each Betting Round there can be no more than one Bet and three additional Raises ("Raise", "Reraise" & "Cap"). Once a Cap occurs, the following players will only be able to Call or Fold. All previous active players have chosen to Fold, leaving only one active player. This remaining player automatically wins the Pot; both the Betting Round and hand are automatically terminated. After each of the subsequent four deals of the cards ("Fourth Street", "Fifth Street", "Sixth Street" and "The River*"), there is a Betting Round, which is initiated by the active player (has not Folded) with the highest ranking hand. *Occasionally, there are not enough cards in the deck to give each player their own final seventh card (The River), face down. In this case, one card will be placed, face up, in the centre of the table. This "Community Boardcard" is shared by all active players. Once the fifth Betting Round has been completed, if more than one player remains active in the hand, there is a "Showdown". In the Showdown, each active player combines any five of their seven total cards, to create the highest and/or lowest (with no card higher in value than eight) ranking, five card, Poker hand(s) possible. The active players who create the highest and lowest (with no card higher in value than eight) ranking Poker hands split the Pot 50%-50%, minus the Pot(s) won by any players holding higher and/or lower ranking "All-in" hands (see the Limits, Antes & Rake in the how to play section of this site). Should one active player create both the highest and lowest ranking Poker hands, that player receives the entire Pot, minus any All-in Pots and the Rake. Further, if there is no qualifying low hand (with no card higher in value than eight), the player with the highest ranking hand receives the entire Pot, minus any All-in Pots and the Rake. The cards are shuffled before each hand. You shall access the Software and use the Services only via your own account and you may never access the Software or use the Services by means of another person's account. Should you attempt to use the Services by means of any other person's account, we will be entitled to immediately close all your accounts, retain all monies in such accounts and bar you from future use of the Services. If deemed applicable, the Company may decide in its sole discretion to prevent multiple accounts being registered or used by you or by anyone from the same family or living in the same household. The Company shall not be responsible in any way for preventing the registration of multiple accounts, but can take action, including retaining all monies in such accounts, on any person opening multiple accounts as required, including but not limited to situations where accounts are registered from the same household, regardless of the registration details provided at the time of opening such accounts.